It’s only a week away from the inauguration of the 100per100 Italian Lounge in Beijing, inside Anufood China from November 21st to 23rd, Hall 2 booth F106. Among the guests of the 100per100 Italian Lounge, we welcome Chef Diego Ottaviani. 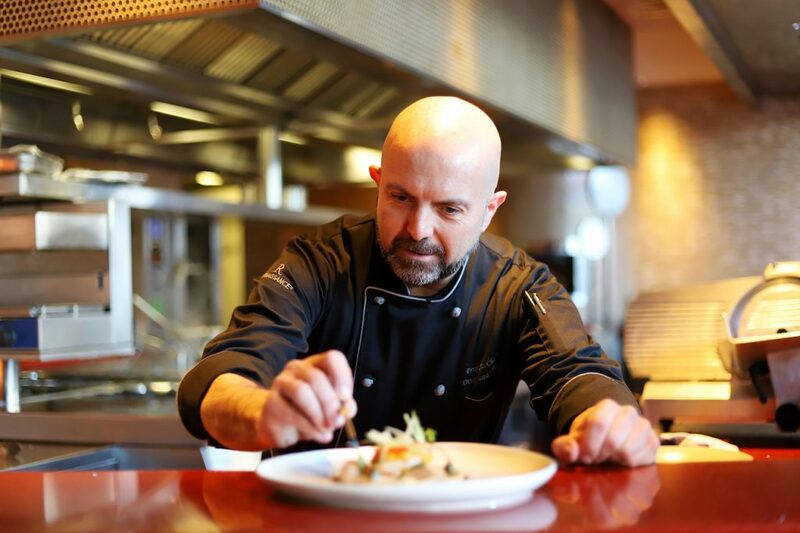 An ambassador of Italian cuisine in the Chinese capital, Chef Diego was born in Abruzzo where he was raised totally immersed in the kitchens of family restaurants. As a son of art, his undertaking of his career as a Chef has resulted in him conquering the Michelin star for two of the five Ottaviani family restaurants. Talent and heart bring Chef Diego to Beijing where he wants to entire the palates and arouse emotions in his customers with his Italian dishes. Roman pizza, lasagne and fish are only some of the specialties that are proposed to impress the guests of Fratelli Fresh at the Renaissance Beijing Capital Hotel. Chef Diego will entertain us by sharing a 100% Italian product and recipe in the 100per100 Italian Lounge, the heart of the Italian collective within Anufood China. The 100per100 Italian Lounge will also a meeting place for professionals of the Italian F & B in Beijing who will have the opportunity to get in touch with companies that bring true Made in Italy abroad every day, such as Pastificio Granoro and the Consorzio Tutela Aceto Balsamico di Mondena. The 100per100 Italian Lounge is made possible thanks to the support of technical partners Smeg and Pentole Agnelli, as well as the contents produced on the channels of I Love Italian Food, and of the local media partner 100ITA.